Uses: Ayurveda uses for this plant include aiding disorders of the nervous system, digestive system, circulatory and integumentary system. It has been used for depression, anxiety and memory loss. 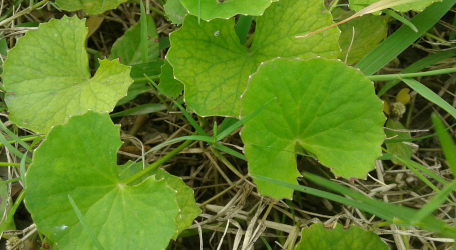 Centella asiatica at WikiSpecies. Last accessed on Monday, August 06, 2018. 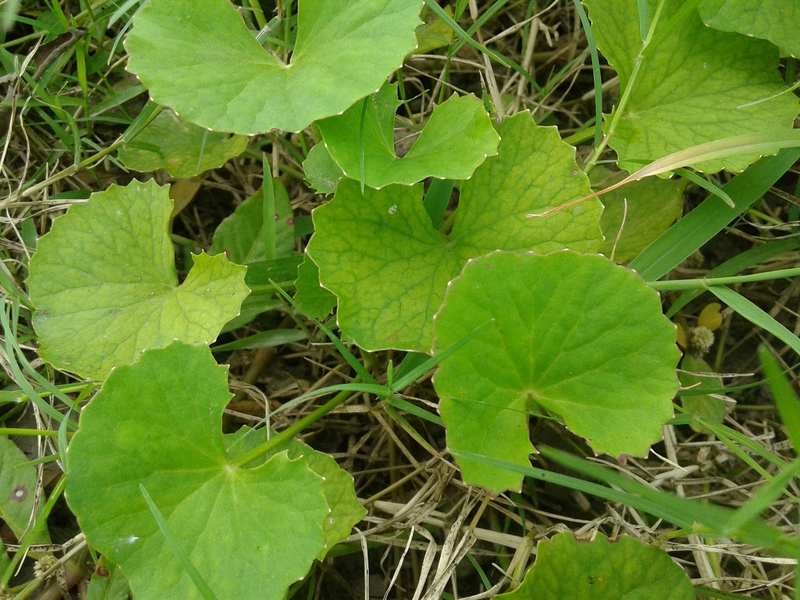 Centella asiatica at ARS-GRIN. Last accessed on Monday, August 06, 2018. Centella asiatica at Wikipedia. Last accessed on Monday, August 06, 2018. Gohil KJ, Patel JA, Gajjar AK. 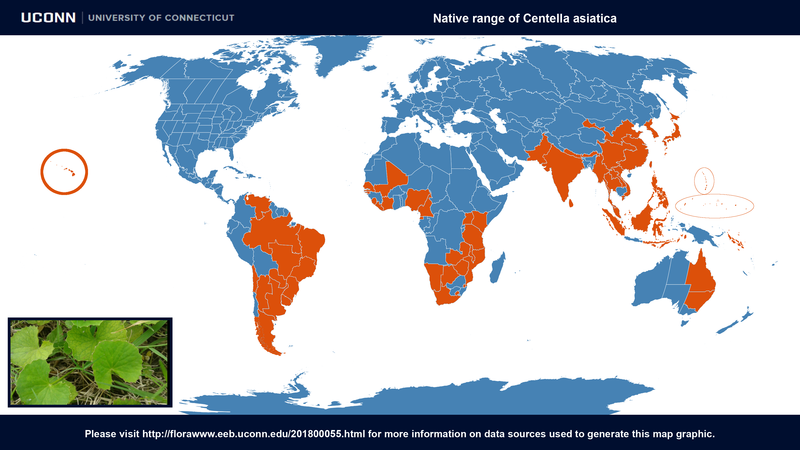 Pharmacological Review on Centella asiatica: A Potential Herbal Cure-all, Indian J Pharm Sci. 2010;72(5):546-56. Last accessed Wednesday, 07 November, 2018. 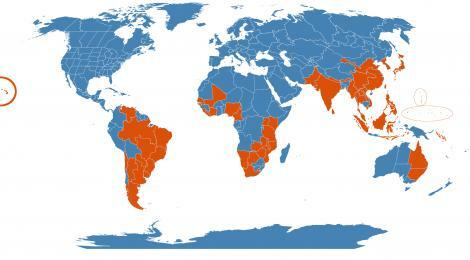 Images #00 (cropped) & #01 (original) © Vespertunes [CC BY-SA 4.0 ], from Wikimedia Commons. Last accessed Wednesday, 07 November, 2018.